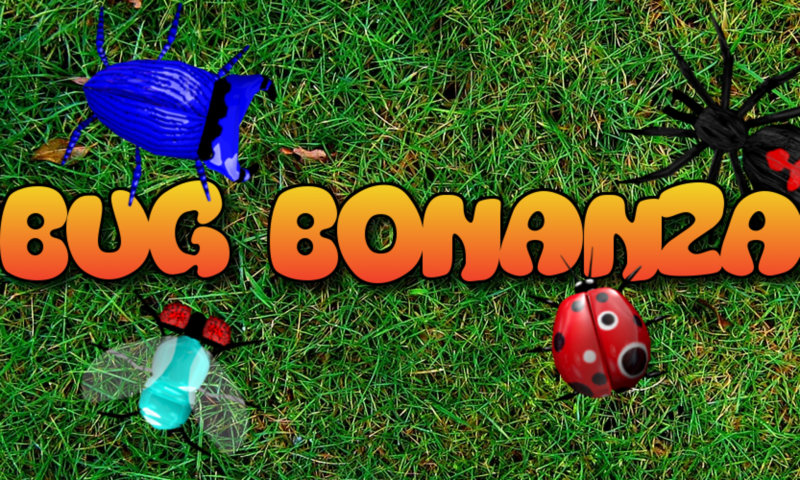 Bug Bonanza is a drag and match genre game that uses colorful 3D animated bugs. To win you must match 3 bugs in a row, collect leaves, turn on bug zappers, eat the apples, feed the venus flytraps, free the bugs from the glass jar and more. Spraycans, bee smokers or matchsticks will appear when special matches are found causing bugs to sparkle, smoke or catch on fire and make each bug worth more points.